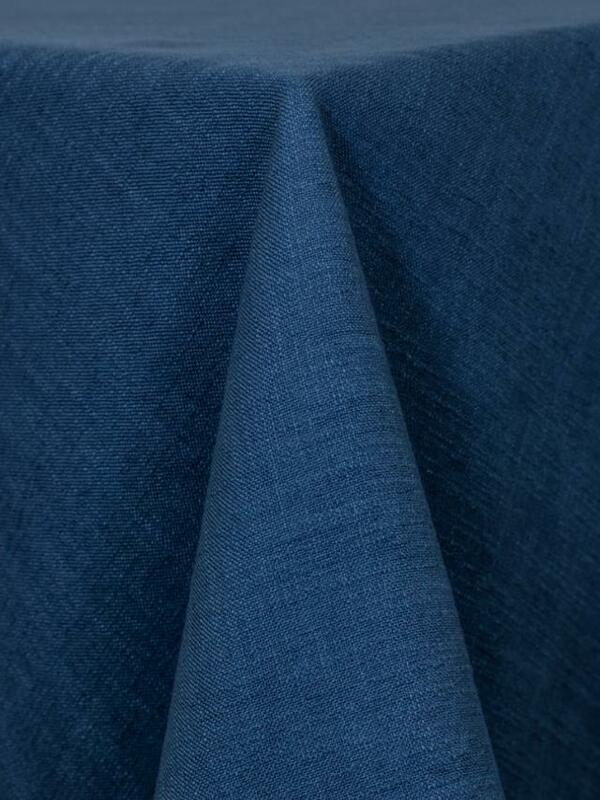 Polyester Faux Linen Fabric. It s plain texture adds a sense of simplicity to any event. Please call us at 541.752.7255 to inquire about additional sizes and colors that are available. * Please call us for any questions on our panama cobalt linens rentals serving Corvallis OR, Albany OR, Salem OR and surrounding areas.